You know the scene: My husband was moody and I was wondered what was wrong. It was a slip. I'm in a good place of honesty with my husband. 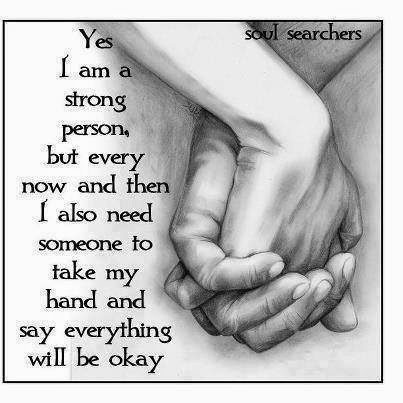 I know not everyone has that, but I also know with recovery efforts on both sides it can happen. The familiar scene with dishonesty is pain and hurt because of secrecy. Arfter discovery it's more pain and hurt because of the lack of trust and the objectification felt when a spouse takes the addicted's behavior personally (which is understandable! But not helpful.). When honesty is present, that familiar scene before recovery is often tearful, still filled with pain because of helplessness and mistrust. It drives a wedge between the spouses felt by both sides. Recovery has been a growth process for us but I feel a big difference in the scenario. This time when he told me he slipped I felt no personal pain. Instead I felt compassion for him because I knew he was feeling guilty and dirty and experiencing backlash and after pains, being haunted by fresh memories and fighting the craving to refresh those memories. I felt pain FOR him. I was also a bit angry at Satan using the internet once again as his tool of destruction. My anger was aimed at the correct place. Instead of at my husband, a good man struggling, I was maddened by the source of all pain and sin, the devil and His temptations. I held my husband a while, telling him I was sorry for what he was going through. Then I felt the Lord guide me with His love to use the right words. I reminded him not to give up. He'd already fallen two days in a row before telling me, and that told me he was losing faith. I reminded him that he is better than that, and not to give up. I also reminded him that the next couple days would be harder, maybe even the next couple weeks. Temptations are worse when the memories are fresh. The brain goes through stronger withdrawals as the images in the memory begin to fade. When images are fresh, the brain begins to hunger for more but the longer you abstain, the weaker the cravings and the stronger your spiritual strength. Then you watch out for triggers. He had slipped because of a trigger. I hope he can turn to me when he is triggered so I can be more helpful. It felt so good to have a moment of complete and loving support for each other without the pain. This is being brought together instead of torn apart! Satan will not succeed in tearing us apart through his evil ways. I'm remaining by the side of this good man and we will make it together.